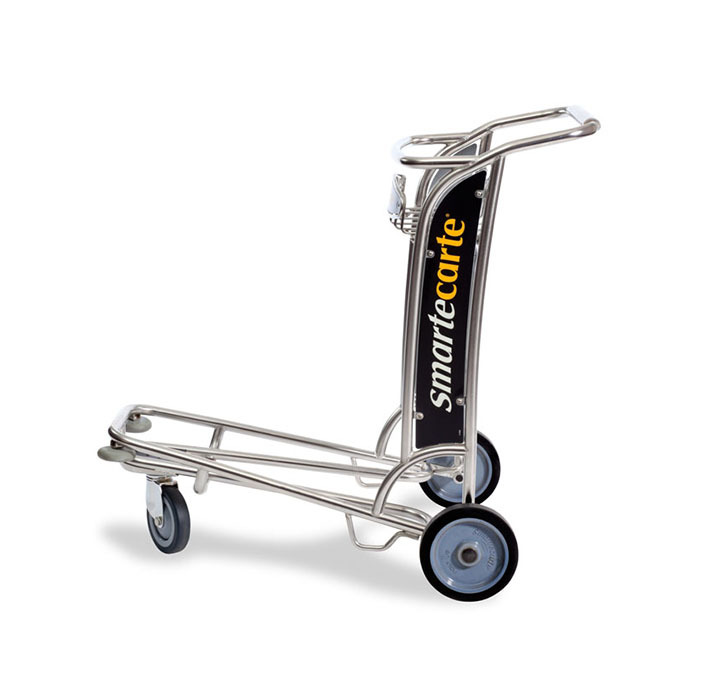 A Smarte Carte luggage cart concession provides superior service through a no-cost, revenue-generating solution. 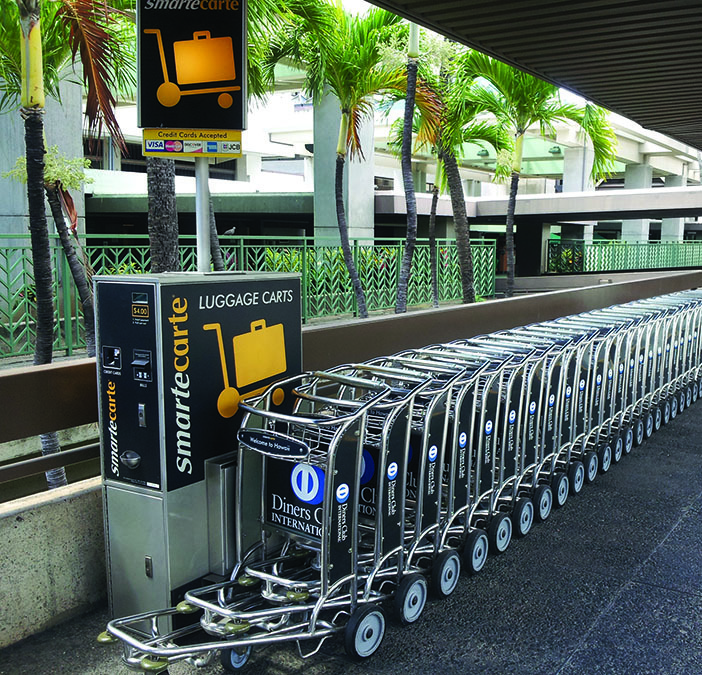 We offer the highest quality luggage carts and sophisticated cart management equipment that allows us to customize an all-inclusive luggage cart concession for your airport or travel center. Our concession programs are designed to make luggage cart management virtually hands-free for you and your staff. Storage Sections 5′ increments, each section holds 7 carts. Communications Credit card acceptance utilizes telephone line, copper or wireless LAN or stored transaction technology. Cabinet Constructed of high quality steel, with a custom silver powder finish and clear coat. Patents U.S. Patent 7,448,476. U.S. Patent 7,857,108. Performance Cart will not tip when placed on 10 degree slope in any position with 40 lbs. (18 kg) placed in basket. Cart will not tip or allow items to fall off platform while transitioning a 6-inch curb. Performance Brakes will securely hold a cart load of 250 lbs. (113 kg) on a 10-degree slope. Cart will not tip when placed on 10 degree slope in any position with 40 lbs. in the basket. Cart will not tip or allow items to fall off platform while transitioning a 6-inch curb. Can you advertise on the cart panels? Yes, the cart’s side and rear panels are great for advertising. Can I place a Cart Management Unit outdoors? Yes. The Enterprise Cart Management Unit is heated for cold weather. Will the carts damage floor surfaces? No. Non-marring wheels protect the appearance of floors.